You are here: Home / Blog / Roofing / What Are Roof Flashings and How Do They Work? Flashings are the unsung heroes of the roof. They’re thin pieces of metal applied to leak-prone areas, collecting and guiding the water away from the sections they serve. They’re usually unobtrusive, but you shouldn’t ignore their contributions to your roof performance and longevity. Otherwise known as drip edges, eave flashings are applied over the underlayment on the sides of the roof, at its edges but beneath its eaves. They’re installed that way to prevent rainwater and snowmelt from getting into the gap between the sheathing and the fascia. They channel what they catch straight to the gutters. The usual reason leakage occurs in the eaves is wood rot due to a missing flashing. Valleys are points where two roofs sloping downward intersect. To direct the water flowing from both roof planes effectively, valley flashings are W-shaped. When properly installed, they use gravity to drain rain and snowmelt in a non-destructive fashion, and significantly reduce the need for roof repair. Shaped like a cone, this flashing protrudes to fit over vent pipes or flues. At its bottom, it has a flange to keep the water away from the location. Its center, along with its top and back edges are installed underneath the shingles. Its front portion is exposed to force the water out of the opening around the vent pipe. Of all the protrusions found in sloped roofing systems, chimneys demand the most flashings. Series of L-shaped pieces of metal (also called step flashings) are worked into shingle courses, allowing each to overlap the one beneath it. Counter flashings are mortared along the sides of the brick, running down over the top of the right-angled pieces. At the lowest point of the roof plane, the flashing is mortared into the chimney’s front, and is placed on top of the shingles. 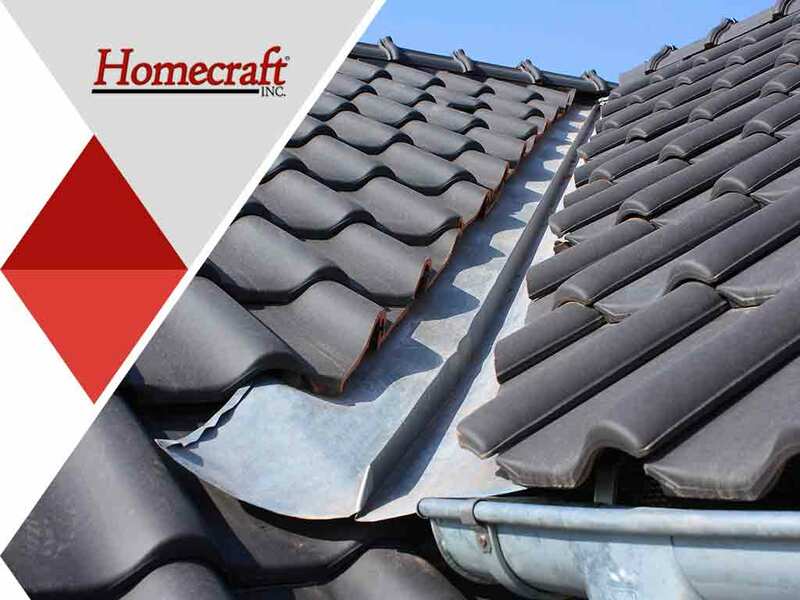 Turn to an experienced and reputable roofer, like Homecraft, to install and maintain your flashings faultlessly. Call us at (877) 494-0377 now to set up your FREE, in-home consultation to talk about your roofing needs and get an estimate. We serve Newark, Middletown, Bear and other neighboring DE communities.